Inside: Discover 25 unique and surprising benefits of cucumbers that will improve your health, make your skin glow, cleanse your breath, and shine your shoes. Read all about the amazing uses for this versatile veggie! When was the last time you snacked on a cucumber? They are a warm-season vegetable, but thanks to year-round balmy weather in various parts of the country, you can purchase this amazing veggie twelve months a year! 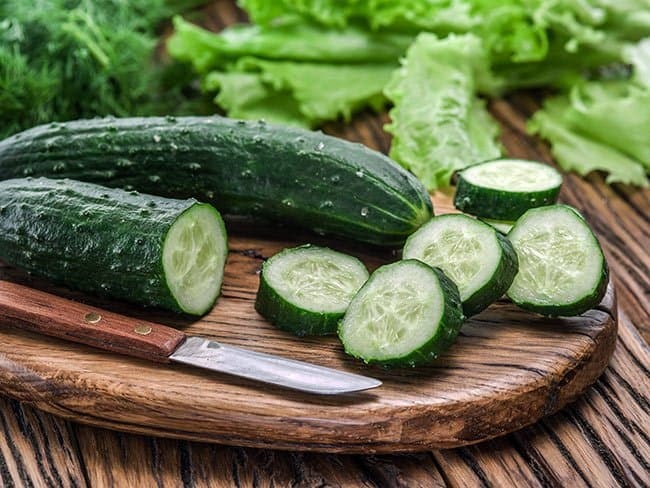 Cucumbers can be eaten raw, chopped in salads, juiced, pickled, and in some parts of the world, (mainly East Asia) they are baked, stir-fried or cooked in soups. Many people erroneously believe that there aren’t many health benefits to cucumbers, nor do they hold up against such power-veggies as broccoli, carrots or spinach. But—cucumbers pack more of a punch than you think. Cucumbers are an amazingly versatile veggie! They contain important vitamins and minerals for health, but they can also be used to shine your shoes and are even good for your pets! Here are just some of the reasons to enjoy this versatile vegetable. First, the water you find in a cucumber is naturally distilled and is better for you than tap water or bottled water. Second, the composition of the water makes it a natural diuretic. Third: the high-water content helps to regulate our body temperature. Cucumbers are important for waste removal and when eaten regularly, they can help to dissolve kidney stones. They have also been used to treat bladder infections. Drink cucumber juice to reduce high uric acid that can lead to inflammation or degeneration of joints, muscles, and ligaments. Along with celery, cucumbers help to reduce blood pressure. Read more about this here cucumbers and blood pressure. Cucumbers contain important vitamins you need every day. Just one cucumber contains Vitamin A, Vitamins B1, 2, 3, 5, 6, folic acid, Vitamin C, and they provide the best source of Vitamin E (in the seeds) of any other veggie. They also contain important minerals such as calcium, iron, magnesium, phosphorus, potassium, zinc and sulfur. Last, they contain the essential amino acids, methionine, and tryptophan. Phytonutrients are found on the skin of the cucumber and protect us against disease and illness. The phytonutrients found in cucumbers are beta-carotene, beta-sitosterol, cucurbitacin, cucurbitin, ferulic acid, isoorientin, lupeol, and stigmasterol. 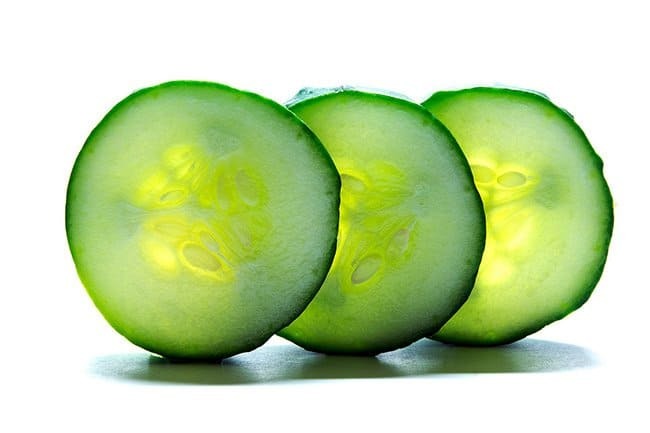 Cucumbers play a significant role in cell hydration, which keeps you from getting dehydrated and plumps up the skin. The skin of the cucumber contains an important mineral for the skin: silica. Not only does silica strengthen the connective tissue of our skin, but it also helps with skin elasticity. And if you wake up with puffy eyes, put slices of cucumber directly on your eyes—it will help reduce the puffiness and will purify the skin. Here’s more information how cucumbers can get rid of puffy eyes: Homemade remedies for puffy eyes. Do you have puffy eyes? Slice a cucumber and place the slices on your eyes. 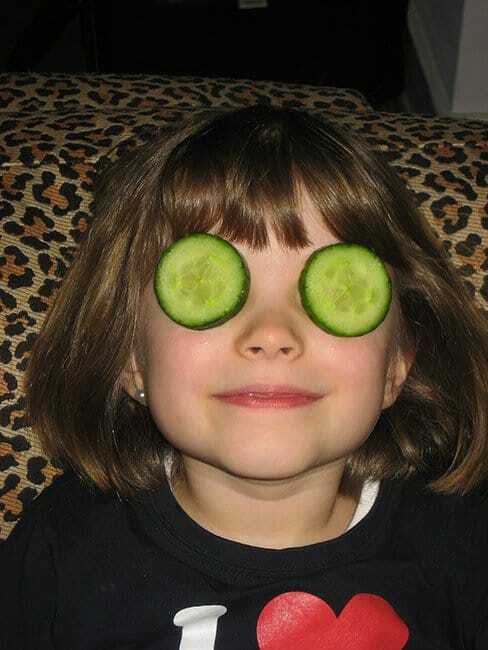 The sulfur and silica in the cucumber will help to reduce the puffiness and will increase the elasticity of the skin. The term, “cool as a cucumber,” is actually based in fact. A cucumber is about 20 degrees lower than your body temperature. That’s why they are so soothing on hot, burned or sunburned skin. They are also refreshing to eat on a hot summer day because of their thirst-quenching properties. Read about additional ways cucumbers relieve sunburned skin: Sunburn Remedies. Cucumbers contain both silica and sulfur—both amazing minerals that help improve skin conditions and strengthen the nails and hair. Sulfur is the dominant element of the skin and improves many different skin conditions such as eczema, psoriasis, and acne. Here are some additional ways cucumbers help your hair: Plant-based foods for gorgeous hair. Cucumbers eaten raw, pickled or juiced helps with depression, cleanses the blood, builds the heart, quenches thirst, moistens the lungs, and acts as a digestive aid. Feeling tired in the afternoon? Put down the caffeinated soda and pick up a cucumber! Cucumbers are a good source of B vitamins and carbohydrates that can provide a quick pick-me-up that can last for hours. Tired of your bathroom mirror fogging up after a shower? Try rubbing a cucumber slice along the mirror; it will eliminate the fog and provide a soothing, spa-like fragrance. Here is some more information on eliminating fog in the shower. Are grubs and slugs ruining your planting beds? Place a few slices in a small pie tin and your garden will be free of pests all season long. The chemicals in the cucumber react with the aluminum to give off a scent undetectable to humans, but drive garden pests crazy and make them flee the area. Here’s some more information on how to get rid of garden pests. 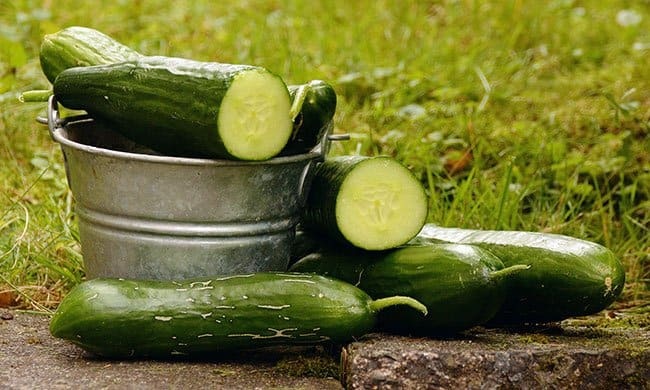 Along with the health benefits of cucumbers, they also have quirky uses such as a few slices placed in your garden will get rid of pests, they help to eliminate fog in the shower, and when rubbed on the skin will reduce the appearance of cellulite. Looking for a fast and easy way to remove cellulite before going to the pool? Try rubbing a slice or two of cucumbers along your problem area for a few minutes. The phytochemicals in the cucumber cause the collagen in your skin to tighten, firming up the outer layer and reducing the visibility of cellulite. Works great on wrinkles too! Want to avoid a hangover or a terrible headache? Eat a few cucumber slices before going to bed and wake up refreshed and headache free. Cucumbers contain enough sugar, B vitamins and electrolytes to replenish essential nutrients for the body; keeping everything in equilibrium and avoiding both a hangover and headache. Here is more information on cucumbers, headaches, and hangovers. Looking to fight off that afternoon or evening snacking binge? Cucumbers have been used for centuries by European trappers, traders, and explorers for quick meals to thwart off starvation. Have an important meeting or job interview and you realize that you don’t have enough time to polish your shoes? Rub a freshly cut cucumber over the shoe– its chemicals will provide a quick and durable shine that not only looks great but also repels water. Out of WD 40 and need to fix a squeaky hinge? Take a cucumber slice and rub it along the problematic hinge, and voila, the squeak is gone. Stressed out and don’t have time for a massage, facial, or a visit to the spa? Cut up an entire cucumber and place it in a pot of boiling water. Place a towel over your head and breathe in the cucumber steam. 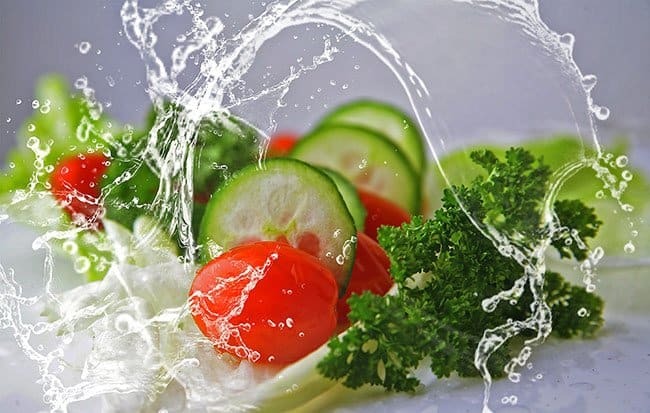 The chemicals and nutrients from the cucumber with react with the boiling water and be released in the steam, creating a soothing, relaxing aroma that has been shown to reduce stress in people (especially new mothers). When picking out cucumbers, pick ones that have a dark green skin; ones that are firm; have no spots or wrinkles and ones that do NOT have a waxy skin. Just finish a business lunch and realize you don’t have gum or mints? Take a slice of cucumber and press it to the roof of your mouth with your tongue for 30 seconds to eliminate bad breath. The phytochemicals will kill the bacteria in your mouth responsible for causing bad breath. Looking for a ‘green’ way to clean your faucets, sinks or stainless steel? Take a slice of cucumber and rub it on the surface you want to clean. Not only will it remove years of tarnish and bring back the shine, but it won’t leave streaks and won’t harm your fingers or fingernails while you clean. Here is additional information on getting rid of tarnish using cucumbers. Using a pen and made a mistake? Take the outside of the cucumber and slowly use it to erase the pen writing. Also works great on crayons and markers that the kids have used to decorate the walls. Here is some more information on using cucumbers to get rid of marks on walls. The lowly cucumber is also a healthy snack for your pets. Because of the sulfur and silica in the cucumber–it will improve their coats and make them silky soft. In another blog, I posted my favorite Refrigerator Pickle Recipe. (Another great recipe from one of my favorite cooks, Marlene Sorosky) They are super easy to make and taste refreshing and delicious! Check out the recipe here. They call for Japanese cucumbers—which you can find at any grocery store. They are long, green, the skin is thinner and they are usually packaged in plastic. Can have bumps because they don’t alter the taste or texture. Choose a cucumber that does not have a waxy skin. Whenever possible, purchase organic cucumbers or Kirby cukes which are the kind used for pickles. Neither have a waxy skin. Don’t peel your cucumbers because many of the important vitamins and minerals are found in the skin. How do you like to eat your cucumbers? Salads? Pickles? Soups? Right from the garden? Please share your experiences with cucumbers and tell us just how much you like or dislike this versatile veggie! Another great article Sharlene!!! I’m buying cucumbers today!!! Thanks for this! Thanks, Lindsey! Glad you enjoyed it and thank you for your support! So much great information !!!!! I’m going to the grocery store and buy all the cucumbers they have! I have used cucumbers on puffy eyes many times. They feel WONDERFUL! I would like to share this info with friends. Is there a way I can do this? Thanks, Cheryl! They really are amazing—if you haven’t tried Japanese cucumbers, try them–that’s the only kind I buy now. The skin is thinner and you don’t have to peel them. The skin is where the silica and sulfur are–which are two amazing minerals for the skin’s elasticity. And yes, they’re great for puffy eyes. You can share the blog from here by clicking on the Facebook icon–below. 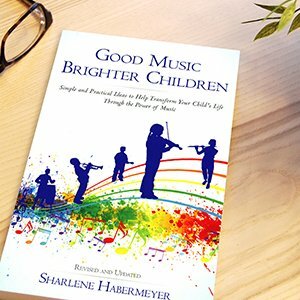 Or, I will be posting it to my Good Parenting Brighter Children Facebook page in the morning–and you can share from there. All I can say is, WOW! 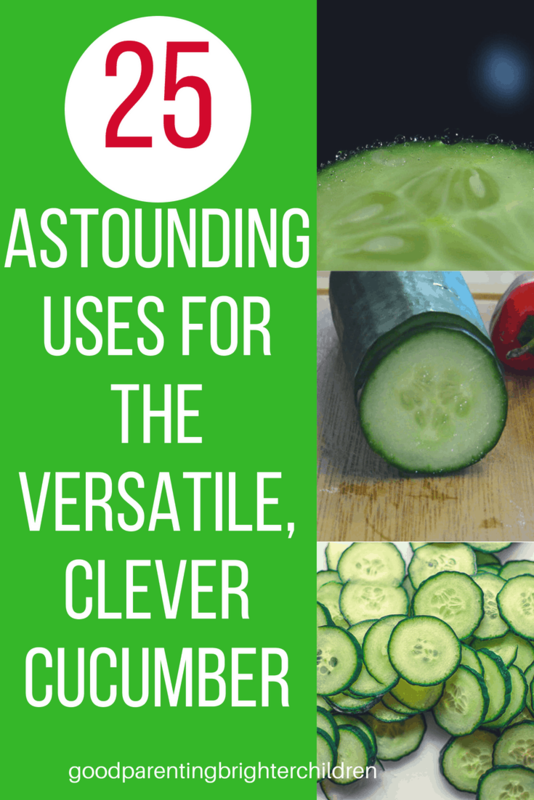 So many uses for cucumbers that I had no idea about. I’m looking forward to using it to help my cellulite!!! Also, want to use it on my bathroom mirror to help with the fog. Your knowledge always amazes me 🙂 Thank you, Sharlene! I doubt seriously that you have cellulite, Tiffany! However, I was born with it! I’ve used cucumbers on my cellulite–cut the cucumber and rub it on the problem areas–but you need to rub for at least 5 minutes. Another thing to add is coffee grounds–in the shower, but I would put a plastic or something down to catch the grounds as you rub them into your skin. It’s the combination of the two that I think works the best. Not enough coffee grounds? Starbucks gives them away–you just need to ask. Thanks, Tiffany! I definitely have cellulite! I too was born with it. I also have spider veins since I’m 10. Do you have a remedy for that??!! I drink way too much coffee so I’ll start saving the grounds and try this out. Thanks! Spider veins are a result of thin skin. Do you have more blue or pink undertones to your skin? (I think you do–from your pictures). Some people have more yellow in their skin–others bluish color and others brown. If you have thinner skin, you will have more bluish/pink undertones–it’s beautiful, but it’s also indicative of thinner skin and thinner skin is more susceptible to veins–especially spider veins. To strengthen your veins start taking grapeseed supplements. They tend to be expensive. And it’s grapeseed–not grapefruit seed. When you use the cucumbers–rub the outside on the cellulite as well–there are tons of things in the skin of the cucumber, but the seeds are also a warehouse of nutrition.